With note-books bulging, ideas badly in need of an edit and the ‘nub’ of the artwork still not found, I went walking with a Ranger. As we talked, walked and ultimately climbed, instead of materials and ideas percolating out, I found ever more facets and angles to ‘change’ in a landscape (on an island) flooding in. According to Scottish Natural Heritage’s latest assessment, we were walking in the ‘wild’, though since the late 1980’s the Ranger Service has been discreetly laying paths. The teams of volunteers supporting the work are reminded to lay stones ‘top side up’ – so their brilliant white underbelly won’t detract from the feeling of following a desire line through nature rather than a path cut, filled, laid. I have been considering drawn lines and outlines: contours, raised beeches, tree-lines as a way to distil and contain ideas. Reaching Cir Mhor, nose to granite, its presence is solid, daunting, awe inspiring and seemingly a different animal to distant snow-decked cool white Goatfell. Granite, I was informed, made for a species poor terrain in terms of flora. Yet a chance remark about a rare cross between Rowan and Whitebeam that has led to a new tree on Arran (S. Arranensis) turned thoughts back to the nature of scarcity and abundance and the qualities of islands in evolution. 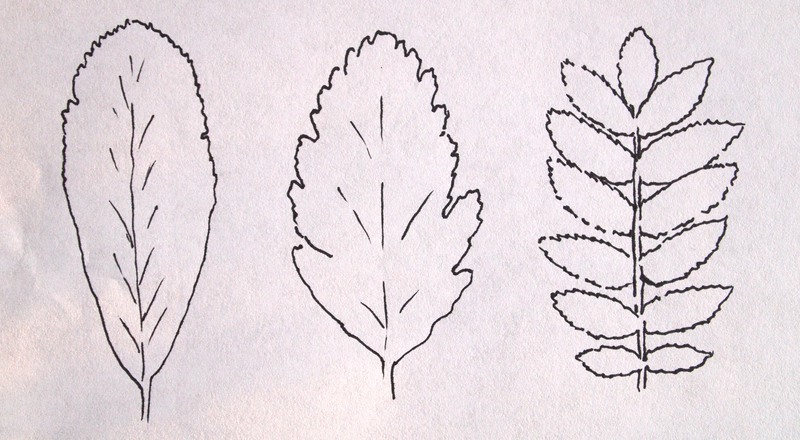 Could the changing shape of a leaf – evolution in action -contain the heart of an idea? This entry was posted in Uncategorized and tagged Arran, Arran Ranger Service, Artwork, Cir Mhor, Evolution, Genetics, Geology, Goatfell, Granite, Imagining Natural Scotland, Nature of Change, Note-book, Residency, Rowan, Scotland, Tree-line, Volunteers, Whitebeam. Bookmark the permalink.